Last week we were in John 12, and observed a woman washing the feet of Jesus with an expensive ointment. It was shocking to the Disciples, but gave great delight to the Lord. 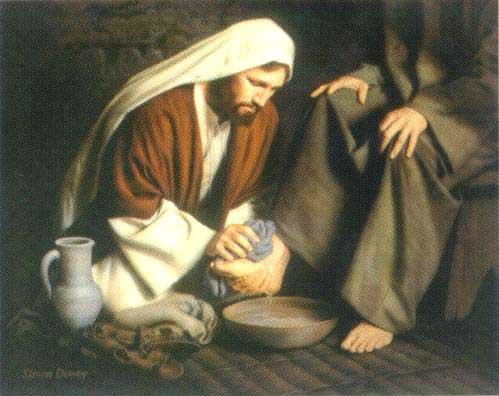 This week we will focus on Jesus washing the feet of his Disciples. It was equally shocking to the Disciples and equally delighting to the Lord. No matter my nagging, they just cannot seem to resist kicking off their shoes and squelching in the sun-warmed mud. Four sets of mud encrusted feet patter up the path and up the porch steps, one by one dunking feet into the warm white foam. 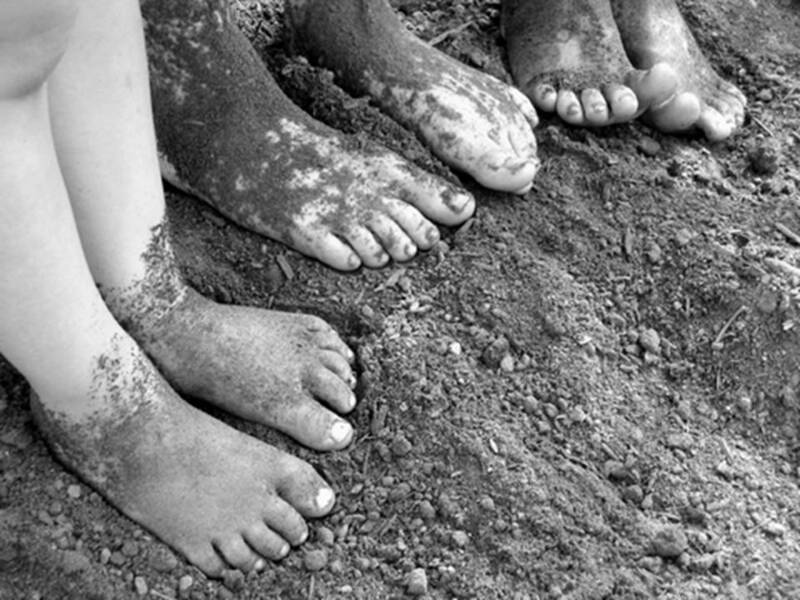 I’ve got the rolled up sleeves and scrub tiny toes, searching for the pink skin beneath all the grime. Then towel dry and open the door, in they come looking for their dinner. I wish I could say I had a good attitude about all of this, but it was not the first time I cleaned them up today. Nor the second, for that matter. In fact, if I am completely honest, I was downright annoyed. I tossed out murky water, turn toward the sink to scrub the pot. And right there it strikes me. Today I didn’t make a million dollars. I didn’t attend an important investment meeting. I didn’t wear expensive clothes. Today I didn’t save a life, or change a law, or bring about world peace. It may look like I really didn’t do much of worth to anyone. But today, and really, every day, I washed feet. As I make my way through this life of mine, I am taught so much. I am learning, daily, to look for the small and the humble – the quiet and the meek. The foot-washing moments that point me toward the blessings of laying down self and striving to serve. In lowering me, He elevates. Read John 13:1-20 There are three things that Jesus said which bear closer examination. They reveal the motivation and message of the Gospel. Most of us know this story. Jesus washes the feet of His disciples. Peter protests at first, but relents. It is a touching story reenacted in many churches even today. But too often we miss the message Jesus wanted to get into the thick skulls of His disciples. There is a Blessing here, but we have to make it a part of our life. Its roots are in the Gospel. Its foundation is in the power of the Gospel we saw last week, the waste that Mary exhibited. This is the Passion Week, and the memories of that week frame each of the Gospels. Obviously, of all that happened during 3-1/2 years of training, the events of those weeks stuck out most in their hearts and minds. 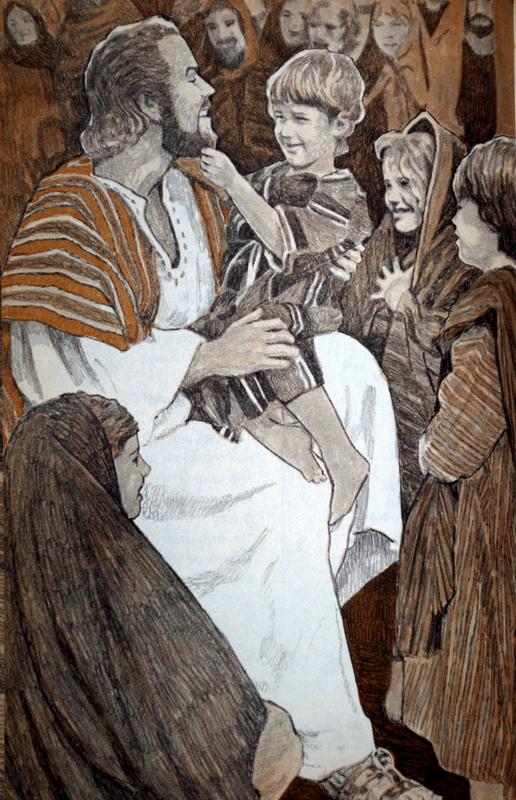 Yet only in John’s gospel is this story mentioned – the one in John 13:1-20. Coming just a day or so after the Disciples had been chided for their treatment of Mary, Jesus was having a His Last Supper with His Disciples. In one simple act Jesus reveals the power of the Gospel through His Motivations and the Message He wants His Disciples to learn. 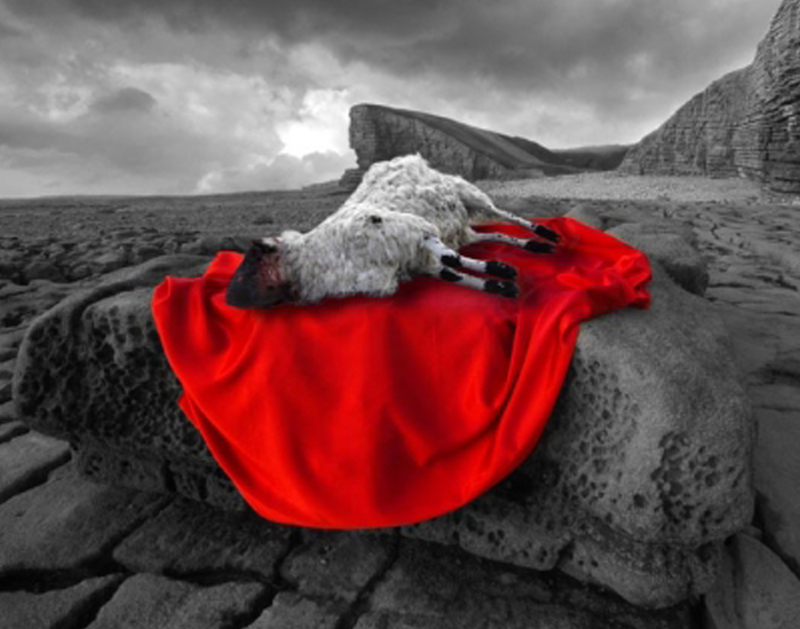 All through his ministry he knew he was to be the “Lamb of God who would take away the sin of the world,” (John 1:29). The time has also come when he, as the grain of wheat, must fall into the ground and die. He sees, as a result of his death, a great harvest of Jews and Gentiles to follow in the power of the second Adam, freed from the defeat of death and sin. This is the power of the Gospel, Death with a View to Increase! 2. Having loved his own, He would love them to the uttermost. Regardless of their denials or flight, Jesus would love them to the very end, or ‘uttermost’ as the Greek could be translated. He knew what was coming and knew the Disciples would need His Love. Within a few hours of this event, he would be hanging upon a cross. His Disciples would be scattered in utter dismay. He must love them to the uttermost! The Gospel of John is very clear that the relationship, which Jesus had with his disciples, is the relationship he has with all who follow Him as Savior and Lord. This means each of you who are born again have a Savior who loves you to the uttermost. Nothing we do, or fail to do will stop Him from loving us to the uttermost. He will discipline us, He will grieve, but His love will always be there. He may bring remarkable experiences into our lives, but we may be sure that underneath all is his loving concern for us. How important it is for us to remember that. Jude writes, “Keep yourself in the love of God,” (Jude 1:21). When you by faith enter into the New Covenant with God through the Blood of Jesus, God takes full responsibility for your life. He is faithful. His Love guides everything that happens in our lives. We can see this because even though Jesus was facing the greatest trial of his life, his focus was not on Himself. His focus was on loving His disciples. 3. The Devil had entered the room and was in the heart of Judas. Yes, there was an unwelcome guest at that meal, a guest that escaped the attention of everyone else but Jesus. You will not see him in Da Vinci’s: “Last Supper,” but he is there. Jesus knew that the devil was bringing about a crisis and that he had determined to use Judas to betray him. This indicates how easily we can be victimized by the devil. He can put thoughts into our minds and hearts and, if we follow them, we will end up betraying our highest hopes. It is so important that we guard our hearts through the Word of God. If you are not daily in the power of the Word, do you think you are immune from Satan’s influence and doubts? Faith comes by the Word of God. Doubts come when our faith is weak. 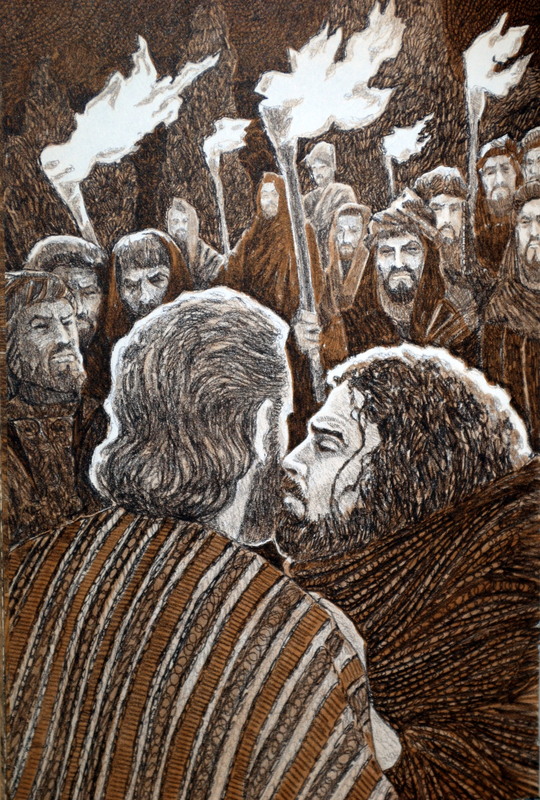 Judas was a devoted disciple. He went out witnessing. He even healed people. But Satan used a desire of his to cause him to turn away. His desire for wealth and standing got in the way of his following a Savior who was to be crucified. The only way wrong desires can be changed is through the power of the Word! Never resist it. Always honor it. Jesus knew that the Devil was in the room and so Jesus had to show his disciples something drastic. 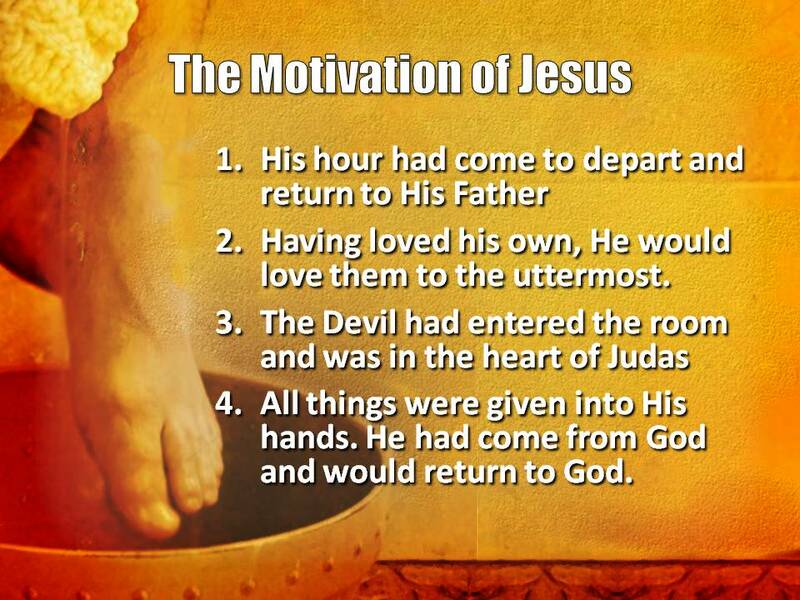 There is the third motive: The devil, the enemy, is at work, closing in on Jesus, and he knew it! 4. All things were given into His hands. He had come from God and would return to God. Now that may seem like a slogan, like Allstate Insurance – You are in Good Hands. However, I believe the Word of John 13:3 is quite literal. Jesus had the most powerful hands in the Creation of God. All things had been placed in His Hands. Jesus was no helpless pawn, drawn along reluctantly. He was the director; He was in control of Passion Week. He was behind the smallest detail. Can you visualize what this means? Those soldiers who were beating Him, mocking Him, nailing Him to the Cross- were given into His hands. The Pharisees who were crying out to crucify him were in His hands. Your sickness, your disease, your pain, is in His hands. Your children, your grandchildren are in His hands. Your life, your possessions, your career, your reputation are all in His hands. Everything has been given into His hands. He knew exactly who He was and where He was headed. Jesus is Lord of ALL! Throughout the Passion Week, Jesus never panics. He is always in control. He moved with a quiet majesty through the events of his arrest and his appearance before Herod, Pilate and the chief priests. He is in full control because He knows who He is. He is God. What worries do you have? What problems are keeping you up at night? See His hands! He has hold of it. Nothing is too great for His hands to handle! Jesus is about to use those powerful hands to demonstrate the Message and Power of the Gospel. Verse 4 & 5: (He) rose from supper. He laid aside his outer garments, and taking a towel, tied it around his waist. Then he poured water into a basin and began to wash the disciples’ feet and to wipe them with the towel that was wrapped around him. When Jesus took his outer garments off, he was taking on the dress of a slave. This would have been quite shocking to these Jews. Slaves were non-people, treated like livestock, property. The rich used slaves to have their feet washed. The poor would set water by the door and you would wash your own feet. Roads were dusty, dirty, and muddy in ancient Palestine. There was no asphalt or concrete. No curbs and gutter. Travel was along footpaths that were dusty when hot, muddy when wet. The custom was to bath in the morning, but by the dinner hour, feet would need to be washed because they would be filthy with the grime of the streets. For some reason this had not been done. Perhaps the disciples were stressed by the busy week, but perhaps Luke sheds light on why their feet were not washed. 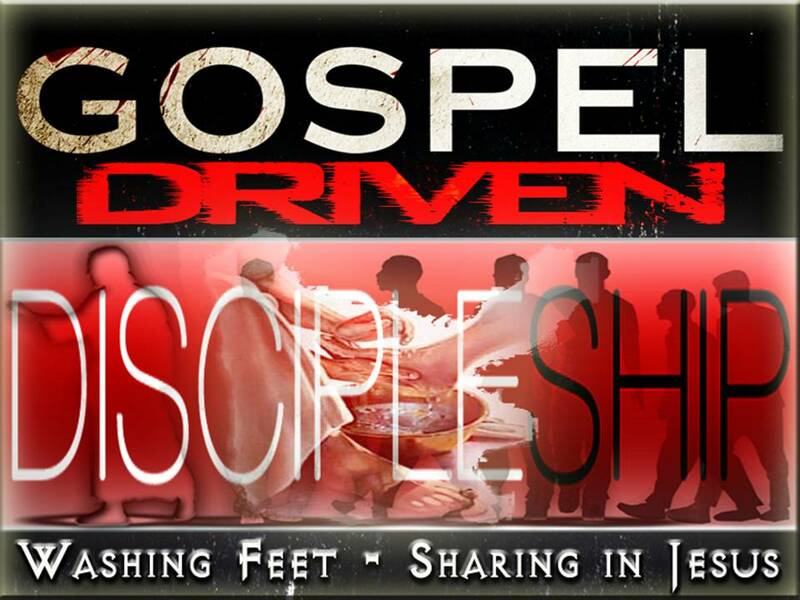 I am sure the disciples, being poor, would take turns washing each other’s feet. However, Luke reveals something that had been discussed that evening. Luke 22:24-30 A dispute also arose among them, as to which of them was to be regarded as the greatest. The disciples had been arguing over who would hold the leading positions in the government Jesus was about to set up (cp. Luke 22:24; Mark 10:35-45, esp. Mark 10:41). The discussion was heated. They were caught up in the ambition for position and power and authority. Jesus needed His disciples to realize that the glory of the Gospel is through death and service, not through position and authority. Jesus had to get this truth across forcibly enough that they would never forget it as long as they labored for the Gospel. I want to correct the picture of the Last Supper that most of us have from Da Vinci. Unlike his painting, the disciples reclined on their left side, leaving their right hand free to eat. This accounts for the fact that John lay “on Jesus’ breast,” as his head was right next to Jesus’ head. It is clear also that Judas lay on the other side of Jesus. Somehow, he had managed to place himself next to Jesus, which later allowed Jesus to hand him a piece of bread to indicate that he was the traitor. So as they were all reclined around the table, about to eat, the disciples began to argue over who was greatest. Like children who won’t do their assigned work (washing the dishes, for instance) because they are angry at each other, they refuse to acknowledge whose turn it is, until one is made to do it by a wise parent. This was happening in the Upper Room as the argument over who was the greatest went on. Each of the disciples said to himself, “I’m not about to wash that turkey’s feet! I am above all that. We’re about to see the Messiah manifest himself as the Deliverer” and “I’m so close to Jesus I shouldn’t have to do this kind of work.” However, Jesus waited until they were all reclining around the table, no one having offered to do the foot washing. Without a word he rose, took off his garments (reducing himself to the position of a slave), and, kneeling in front of each disciple in turn, including Judas, washed his feet and dried them with a towel. They were shocked, stunned, and embarrassed. They did not know what to make of this. Jesus wanted them to see that the dirt of this life accumulates and must be washed, it must be cleansed, or it will keep us from sharing in Jesus. Here our Savior was showing the power of His hands. All things had been placed in His hands, even the power to wash us from our daily sins. We are clean before God, but sin in our life will hinder our fellowship with Jesus. It will cause us to lose passion and desire for Him and what He wants to accomplish. No matter how you fail Him after your salvation, no matter how despicable or horrid or selfish your sin is, all things have been given to His hands. 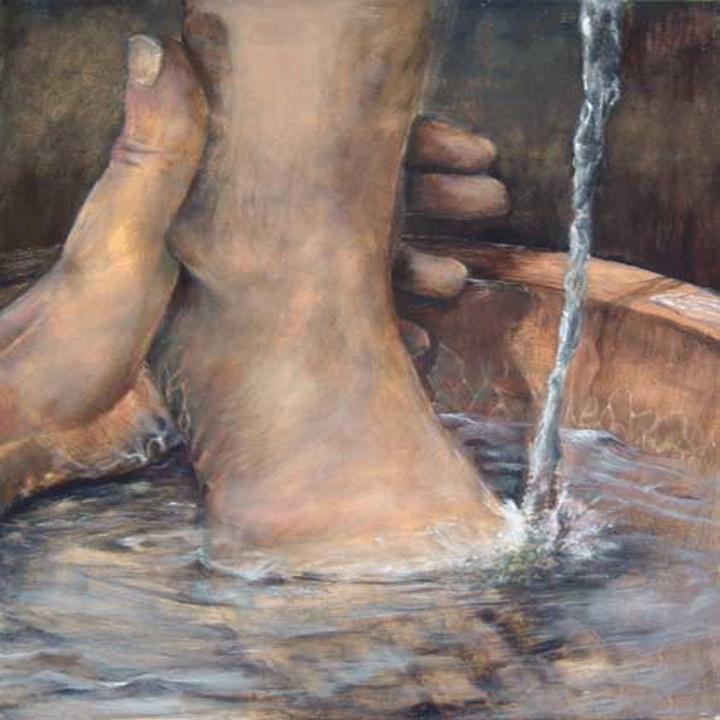 Let Him wash your feet through the power of His Word. He is faithful to cleanse us from all unrighteousness. One point of information for your understanding of the Blood of Christ. Jesus washed their feet with water, not blood. Sometimes we will say we need to be cleansed through the blood, but that really is a onetime thing. When you and I came as sinners to Christ Jesus, it was His shed blood that once and for all cleansed us, justified us, redeemed us and gave us a righteous standing before God. Romans 3:24-25 and are justified by his grace as a gift, through the redemption that is in Christ Jesus, whom God put forward as a propitiation by his blood, to be received by faith. This was to show God’s righteousness, because in his divine forbearance he had passed over former sins. However, we get our feet dirty with sin along our journey. We need washing. Jesus washed the disciple’s feet to illustrate this. But what washes us? It is no more than the Word of God, for the Bible says if we agree with Him about our sins, He is faithful and just to cleanse us. If we disagree, we call God a liar, and the power of His word is not in us. Therefore, the power of the Gospel applies to sins past present and future, and it has power to keep us clean so that we can enjoy fellowship with our Lord Jesus Christ. But more than 1 John 1:9, Jesus wants us to understand that the Gospel is not man’s wisdom, not man’s standing, not man’s righteousness. Do you understand what I have done to you? You call me Teacher and Lord, and you are right, for so I am. 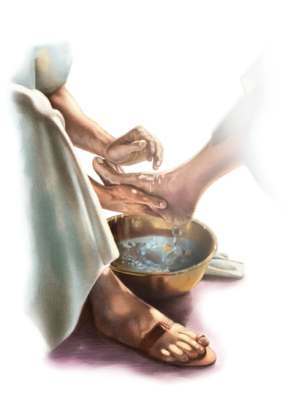 If I then, your Lord and Teacher, have washed your feet, you also ought to wash one another’s feet. For I have given you an example, that you also should do just as I have done to you. The Gospel is the wisdom of God in the Cross. The Gospel is the Justice of the Word of God over our lives. The Gospel is the Righteousness of Christ alone. If we do not embrace the Hesed, Mishpat and tsedaqah of the Gospel, we will not enjoy the blessing that it promises us. 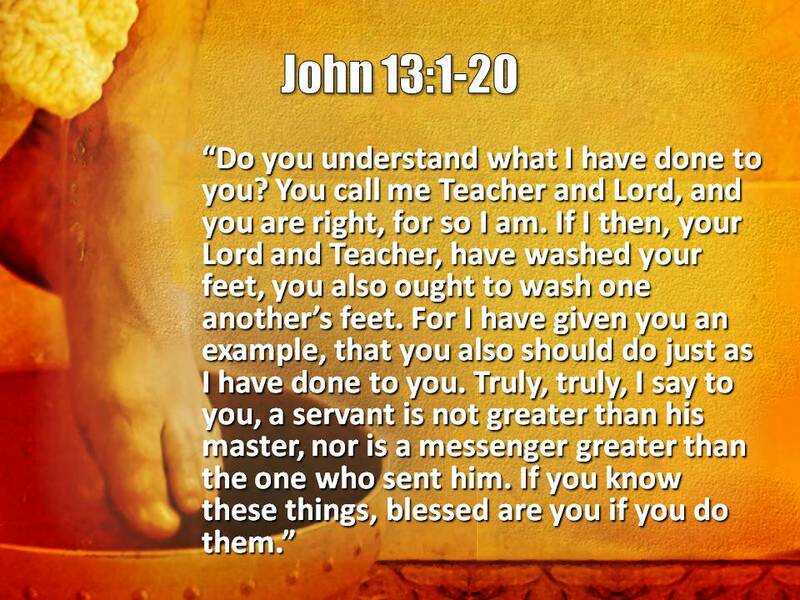 John 13:12-17 When he had washed their feet and put on his outer garments and resumed his place, he said to them, “Do you understand what I have done to you? You call me Teacher and Lord, and you are right, for so I am. 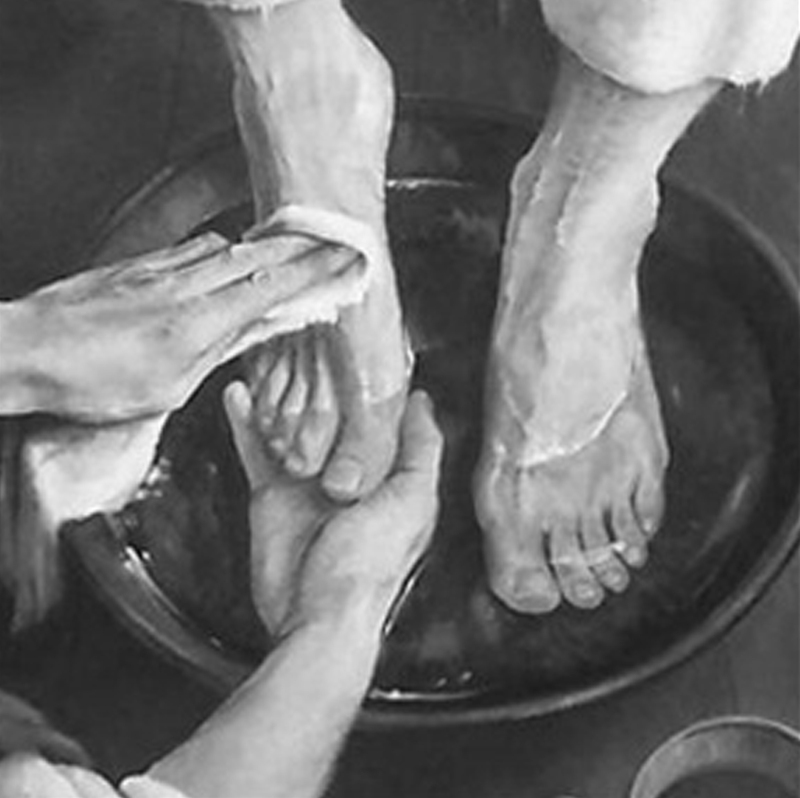 If I then, your Lord and Teacher, have washed your feet, you also ought to wash one another’s feet. For I have given you an example, that you also should do just as I have done to you. Truly, truly, I say to you, a servant is not greater than his master, nor is a messenger greater than the one who sent him. If you know these things, blessed are you if you do them. The foundational truth of Discipleship is “Gaining by Trading.” Therefore, Jesus says if you want to share with me, you will embrace this principle. 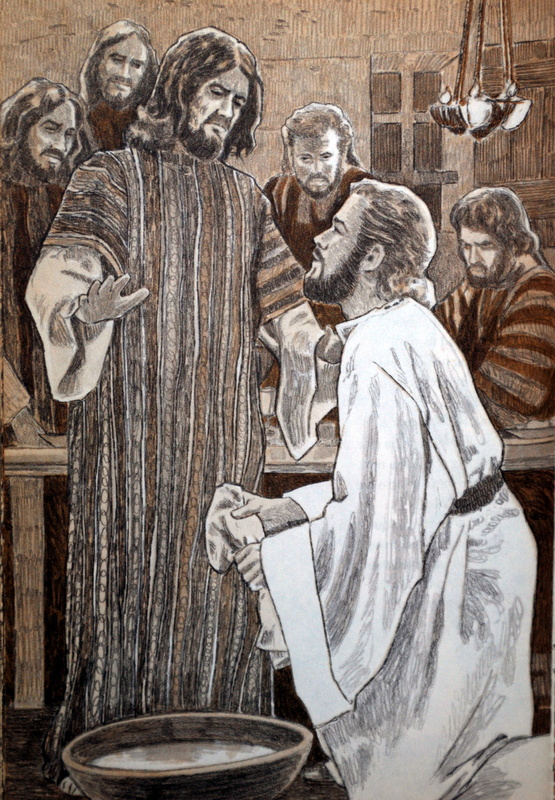 Luke 22:24-30 A dispute also arose among them, as to which of them was to be regarded as the greatest. And he said to them, “The kings of the Gentiles exercise lordship over them, and those in authority over them are called benefactors. But not so with you. Rather, let the greatest among you become as the youngest, and the leader as one who serves. For who is the greater, one who reclines at table or one who serves? Is it not the one who reclines at table? But I am among you as the one who serves. “You are those who have stayed with me in my trials, and I assign to you, as my Father assigned to me, a kingdom, that you may eat and drink at my table in my kingdom and sit on thrones judging the twelve tribes of Israel. The Gospel is not about position or authority. It is about humble service to others. It is about meeting the needs of others, regardless of their position or authority. Regardless of your position in the church, or workplace, or home, we must remember that we are not greater than our master. A wife is not greater than her husband, a husband is not greater than God, an employee is not greater than his boss, a boss is not greater than God. A deacon is not greater than the pastor, a pastor is not greater than God. Jesus realized that He too was under God’s authority. He wanted His Disciples to realize they should not seek to exalt themselves as they work for the sake of the Gospel. We are all under authority, and as such none of us is exempt from serving. When we realize and continually do this Christ says we will be blessed. To embrace the Honor Principle, you must embrace God’s Unfailing Love that extends to each one, even those we do not like. His Hesed working in our life instead of our pride will motivate us to love and honor those around us, especially those authorities God has placed in our life. It will motivate those in authority to love and honor those under his employ or care. So an employee serves his boss, and a boss serves his employee. A wife serves her husband, and a husband serves his wife. A deacon serves his pastor, and his pastor serves the deacon. Regardless of your position there is an obligation of service, because we are all under God’s authority. There are no “But’s” to the Honor Principle. You don’t say I will not honor him because he’s a lousy boss. I will not honor him because he is a lousy husband. Jesus honored Judas when he knew Satan had entered his heart. In effect, Jesus was honoring Satan. The Honor Principle defies man’s wisdom and points out the wisdom of the cross! 1 Timothy 6:1 Let all who are under a yoke as slaves regard their own masters as worthy of all honor, so that the name of God and the teaching may not be reviled. Ephesians 6:5-8 Slaves, obey your earthly masters with fear and trembling, with a sincere heart, as you would Christ, not by the way of eye-service, as people-pleasers, but as servants of Christ, doing the will of God from the heart, rendering service with a good will as to the Lord and not to man, knowing that whatever good anyone does, this he will receive back from the Lord, whether he is a slave or free. Jesus indicated we need a daily spiritual cleansing from the dirt of this world. When He exhorted His disciples to do as He did, he charged them with the responsibility of cleansing each other. We have a ministry to one another to help keep our spiritual feet clean. Followers of Jesus are to be servants, not putting up walls, but building bridges. Walls are erected on a foundation of sin and fleshly pride. Bridges are built because of God’s Justice. When we bring God’s Justice into our lives, and respond to His Word by serving other brothers, feet are cleansed, disciples are encouraged, and the Body is blessed with healthy growth. When flesh and pride prevent the Justice of God’s Word, the body is not cleansed, it gets dirty and Satan has a foothold. That is what happened when the Disciples focused on themselves rather than on the Lord. Judas focused on himself, money, and power and Satan was given a foothold. Just as Jesus cleansed His disciples, so do we cleanse each other through our service to each other. This brings cleansing and encouragement and keeps the body healthy. Jesus shocked his disciples with what He did. This was unheard of. Peter protested most of all. But Jesus said, “if you do not let me do this you will have no share with me.” Jesus wanted His Disciples to see that Jesus was willing to go beyond what was expected to show His love for them. If they wanted to share with Jesus, they must follow His example, and do more than what is expected of them. Following Jesus is not about position or accomplishments or degrees or knowledge. Following Jesus is about service beyond what people expect. 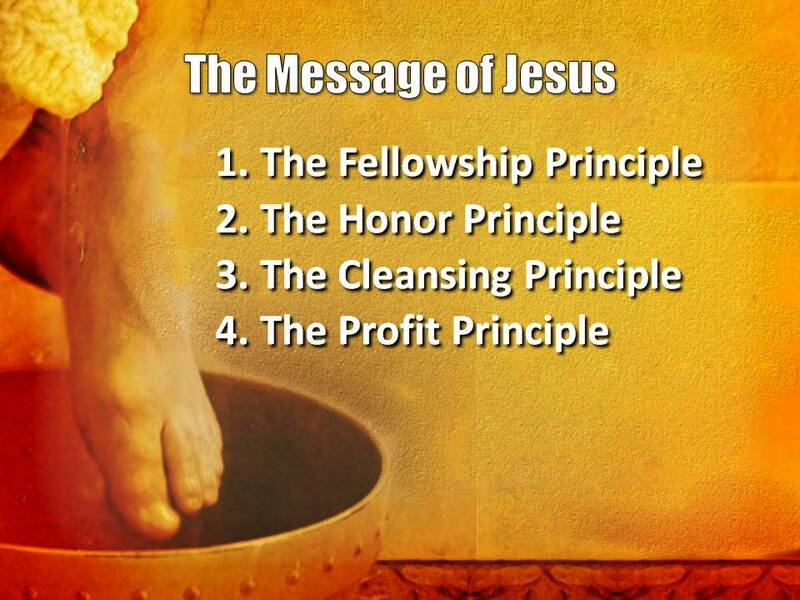 It is along the Waste Principle we saw last week, it is the Second Mile Principle that Jesus preached on the Mount. If you want the power of Jesus in your life, if you want to share in the beauty of His Love and Glory, you will embrace this profit principle. Jesus taught it in Luke 17. Duty serves most Christians well. They feel good about their religion as long as they are doing such and such. For each one it is different. It can be attendance, tithe, reading the Bible. 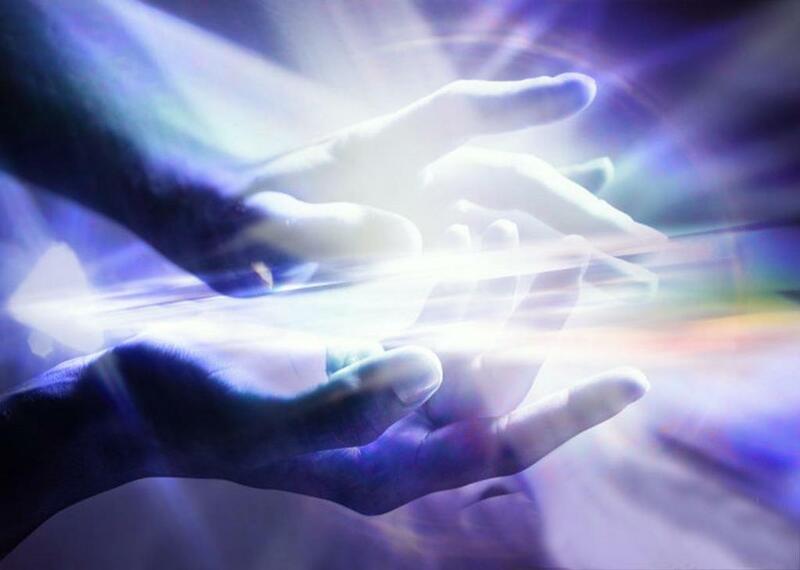 We feel close to God as long as we are fulfilling our ‘duty’ as we perceive it. Jesus wants us to see that following Him is much more than ‘fulfilling a duty’. If we are to be profitable to Jesus, if we are to share with Him, we must go beyond our perceived ‘duties’ and serve when it is not expected. This is the Victory that is in the Righteousness of Christ. If you are living your Christian life as a duty, you are walking in the flesh. You are serving in your own strength. You can ‘handle’ the Christian life. However, Righteousness and sharing with Christ comes only as you go beyond what you can naturally do, or handle. When your service forces you to rely on Christ because you cannot do it, that is when you share with Christ. That is when His Righteousness is yours. You depend upon Him. John 13:17 If you know these things, blessed are you if you DO them. If you know these things, blessed are you if you do them. 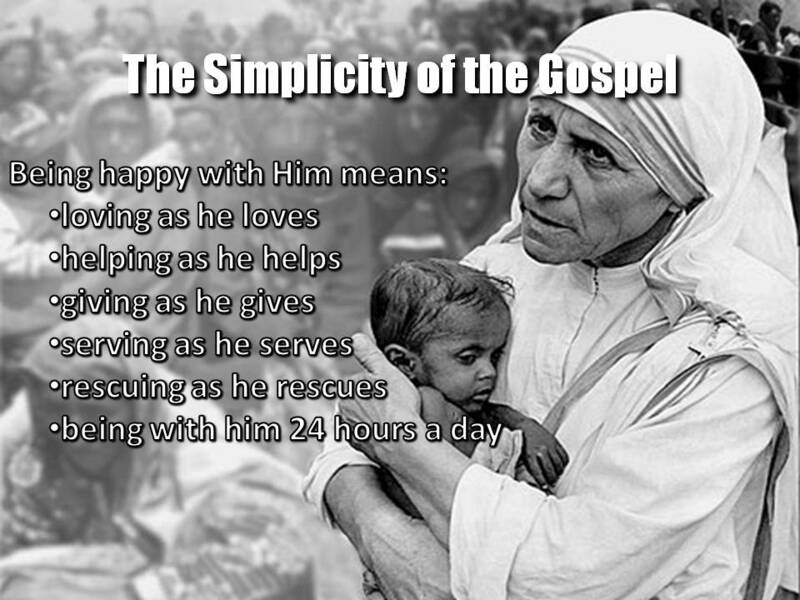 Mother Teresa discovered the joy and blessing of service. After all, service for the sake of others is the Gospel in its simplest form. “We all long for Heaven where God is, but we have it in our power to be in Heaven with him right now to be happy with him at this very moment. Whose feet will you wash today? The Preacher’s Outline & Sermon Bible – John, (Chattanooga: Leadership Ministries Worldwide, 1991), WORDsearch CROSS e-book, Under: “XIII. THE REVELATION OF JESUS, THE GREAT MINISTER AND HIS LEGACY, 13:1-16:33”. “Mother Teresa—Messenger of God’s Love” by E.Le Joly. Can you tell me who the artist of the second image (painting of hand on foot) is the post is?